Home ♦ Build ♦ Street Legal Delta Wing? This is kind of hard to believe, the DeltaWing Technology Group revealed a full-size concept of a Panoz DeltaWing GT street-legal car. They also released a new DeltaWing® GT race car concept chassis, providing a glimpse of the new DeltaWing race car. The Delta Wing is cool and I’m excited to see the new racecar, but the street car blows my mind. Both cars are on display this weekend (Oct 1-3) during the 18th Annual Petit Le Mans. You’ll find them in the DeltaWing Racing Cars and Panoz exhibit in Road Atlanta’s Vendor Village. 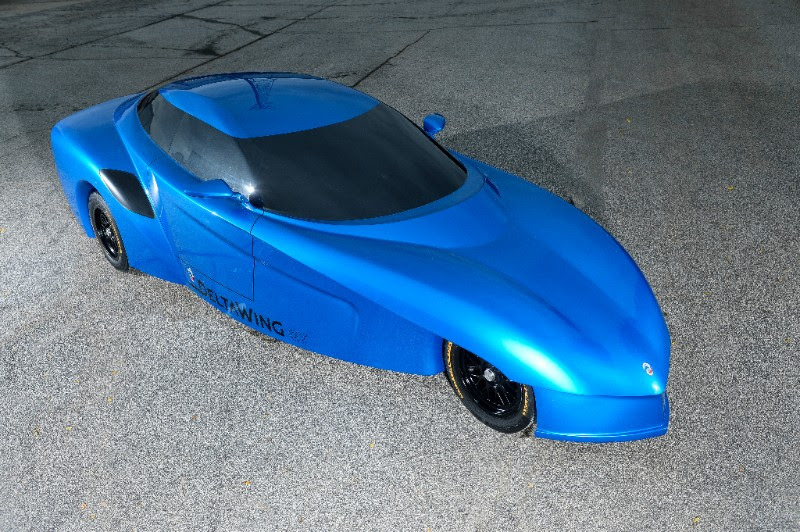 Development of the street car began after the company received the results of an independent engineering analysis of a four-passenger road car concept based on the patented DeltaWing narrow front track vehicle architecture. That analysis showed it could achieve nearly 74 mpg highway and 57 mpg combined. The team then focused on further refinement of the architecture and as a result, the Panoz DeltaWing GT road car design’s coefficient of drag is in the 0.26 Cd range. The architecture can accept virtually any current or future transverse engine powertrain or it can be fitted with all-electric or hybrid powertrain. 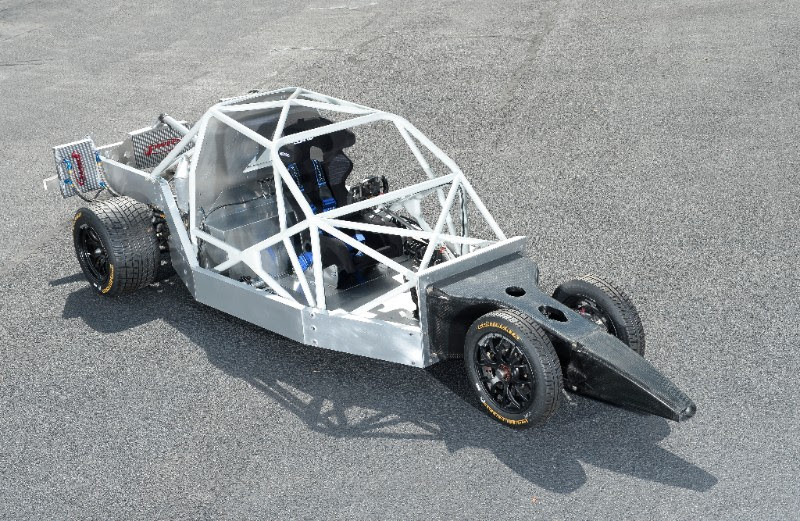 For those of you more interested in the next Deltawing racecar, here is the new prototype chassis. Hopefully the street car is just as awesome as the racecar. The Claro/Tracfone DeltaWing Racing Cars DWC-13 Coupe that competes in IMSA’s 2015 TUDOR United SportsCar Championship with about half the weight and aerodynamic drag, half the horsepower, and half the fuel consumption while delivering the same performance as its competitors.